The small apartment my wife and I rented for a month-and-a-half four years ago in the Marais district of Paris was eighty-one stairs up from ground level. Our kitchen windows looked north across the leaded rooftops—among which, just over a hundred metres away, was the roof of the Bataclan music hall, in which on the evening of November 13 eighty-nine people were massacred by terrorist gunmen, and a larger number grievously injured. 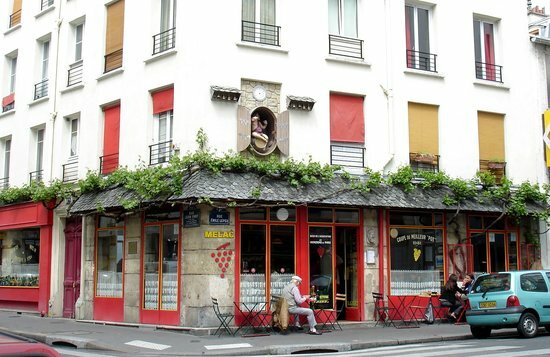 Our favourite restaurant, the Bistrot Melac, is a short stroll to the southeast along Boulevard Voltaire, and a block from the Rue de Charonne and the Café Belle Équipe, where on the same evening another nineteen Parisians were murdered by ISIS terrorists. 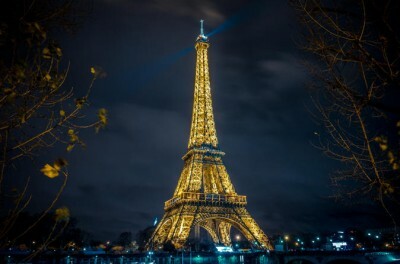 These and other Paris attacks were part of a series, including bombings of a market and mosque in Baghdad, the destruction by ISIS of a Russian airliner on October 31, killing 224, and ISIS attacks in Beirut on November 12 that killed forty-three people and wounded another 239. How best to honour the victims, and the grief of the bereaved? I have friendships in France going back decades, and have lived there for some two years in all, but claims of identity would ring false: I would prefer to seek an understanding of the community the murderers hoped to terrorize. The staircase from our apartment descended into a courtyard, around which there were spaces mostly used for storage, though one housed an auto mechanic’s shop, and another a furniture-repair atelier. Along with similar artisanal businesses in the district (dressmakers’ shops, a luthier, a wrought-iron workshop), these were a sign that the neighbourhood retained some elements of its traditionally working-class character. 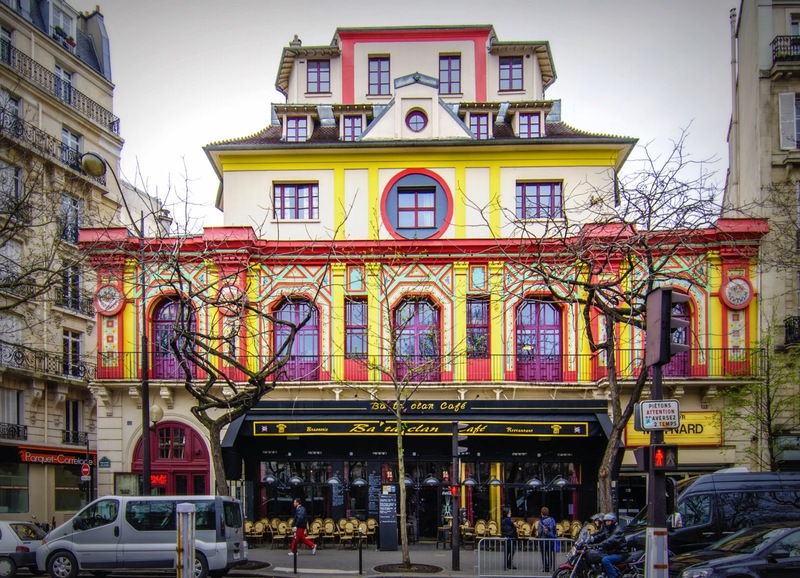 Its ethnic mix was evident in the staff and clientele of the grocery store around the corner on Rue Alphonse Baudin, and of the Cour de Lions swimming pool and Saint-Sébastien primary school on the opposite side of the street. Another local quality—communal solidarity—may be suggested by an anecdote that does not flatter me. Returning one evening from dinner at the Melac, my wife and I were accosted on Rue Saint-Sébastien by a somewhat unsteady elderly man who said: “Mademoiselle, do not go with this man: he has wicked intentions!” For a couple married nearly forty years, it was amusing to be taken for an ingenue and a roué—even if in my case the error confirmed George Orwell’s adage that after a certain age every man has the face that he deserves. I remain unsure whether the episode testified to a serious social problem in the neighbourhood, or rather to a subtle Parisian sense of irony. 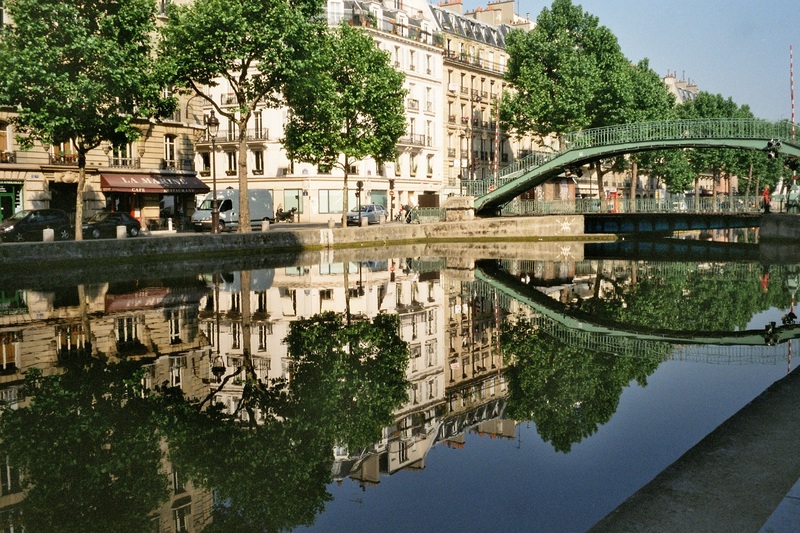 Some aspects of the neighbourhood seemed idyllic: the stroll down Rue Vieille du Temple to our favourite boulangerie, across from one of Paris’s finest synagogues; the street markets that filled the wide median of Boulevard Richard Lenoir twice a week with booths for cheap clothing and excellent food; the Canal Saint-Martin, which emerges magically from under that same boulevard some distance north of the Bataclan, and along whose grassy banks I jogged several mornings a week; and the beautiful symmetries of the Place des Vosges, whose little park provided another oasis of greenery. But the neighbourhood also contains reminders of a sometimes violent history. 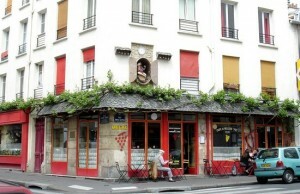 The final fighting during the suppression of the Paris Commune in May 1871 took place in this district, and one of the defensive street barricades stood just south of the Bataclan (which dates from 1864), at the intersection of Voltaire and Lenoir.1 Several blocks further south along Voltaire is the Gymnase Japy, where in 1941-42 Parisian Jews were interned before being deported to Auschwitz. The gymnasium was again used for detention in October 1961, when the Paris police arrested 11,000 people following a demonstration against the Algerian war, and killed over 200, mostly by drowning them in the Seine.2 Four months later, at the nearby Charonne métro station, the police killed nine trade unionists who had demonstrated against the terrorist Organisation de l’armée secrète (OAS); and in 1996 they brutally suppressed a two-day occupation of the Gymnase Japy by “sans-papiers,” illegal immigrants protesting against their limbo status. On the morning of May 1, 2011 I was drawn from my writing desk by the sound of the annual May Day demonstration descending Boulevard Voltaire from the Place de la République. To which radical group should a visiting scholar lend his support? I chose to march with the Archivistes et Bibliothécaires, whose numbers were swelled by my presence to a round dozen. NATO’s illegal regime-change operation, which was not remotely envisaged by the UN Security Council’s no-fly-zone resolution, destroyed Libya’s infrastructure and produced a chaos of jihadi factions—just as the US’s illegal regime-change operation in Iraq had done. But since coming to office in 2012, François Hollande’s Socialist government has pursued the same pitiless policy in Syria. The folly of this is staggering. Al-Nusra, a 2011 Syrian offshoot of Abu Bakr al-Baghdadi’s Islamic State of Iraq (ISI), has since the spring of 2013 been largely re-absorbed into that entity, which in June 2013 added “and Syria” to its name, becoming ISIS—and then in June 2014 proclaimed itself a worldwide Caliphate. The central operational principles followed by ISIS and al-Nusra alike were outlined a decade earlier by one Abu Bakr Naji in a book, Management of Savagery,5 which French intelligence agents have undoubtedly read. When we mourn the victims of ISIS, then, we need to include the millions of Syrians and Iraqis who, in flight from their ruined cities, are seeking places of safety. 1 A photograph of this barricade is reproduced in the Wikipedia article “Paris Commune.” The last part of Paris to be overwhelmed during the “semaine sanglante” of May 21-28, 1871, during which some 20,000 people are said to have died in street fighting or summary executions, was the district of the third and eleventh arrondissements, with a final skirmish occurring in the Père Lachaise Cemetery. The execution of a group of Communards or Fédérés there is commemorated by the Mur des Fédérés in the cemetery. 2 The Prefect of the Paris police responsible for this massacre and for the Charonne métro station killings was the infamous Maurice Papon, who was responsible during World War II for the deportation of Jews from Bordeaux to the Nazi death camps, and who as Prefect of the département of Constantine in Algeria from 1956 to 1958 was responsible there for the torture of civilians. 3 The philosopher, journalist, and multi-millionaire Bernard-Henri Lévy (BHL), who has been an influential figure within the Socialist Party, was instrumental in establishing a Libyan government-in-exile, and lobbied very forcefully for French military action against the regime of Muammar Gaddafi. For samples of the criticisms inspired by that intervention, and by BHL’s role in it, see Alex Lantier, “Bernard-Henri Lévy pour un bombardement ‘humanitaire’ de la Libye,” World Socialist Web Site (31 March 2011), https://www.wsws.org/francais/News/2011/mar2011/bhll-m31.shtml; Daniel Salvatore Schiffer, “Migrants morts: on paie le désastre de la politique de Sarkozy et BHL en Libye,” Nouvel observateur (21 April 2015), http://www.leplus.nouvelobs.com/contribution/1356961-migrants-morts-on-paie-le-destastre-de-la-politique-de-sarkozy-et-bhl-en-libye.html; “Libye/Syrie. Après avoir brocardé BHL, Michel Onfray qualifie Sarkozy et Hollande de ‘criminels’ sur BFM TV (video),” Le-Blog-Sam-La-Touch (4 September 2015), http://le-blog-sam-la-touch.over-blog.com/2015/09/libye=syrie-apres-avoir-brocarde-bhl-michel-onfray-qualifie-sarkozy-et-hollande-de-criminels-sur-bfm-tv-video.html. 4 Hugh Roberts, “The Hijackers,” London Review of Books (16 July 2015), http://www.lrb.co.uk/v37/n14/hugh-roberts/the-hijackers. My quotations from Fabius and Hollande are derived from this article. 6 See “Newly-Declassified U.S. Government Documents: The West Supported the Creation of ISIS,” Washington’s Blog (24 May 2015), http://www.washingtonsblog.com/2015/05/newly-declassified-u.s.-government-documents-the-west-supported-the-creation-of-isis.html. The documents were produced by the Defense Intelligence Agency (DIA), whose former head, Lieutenant General Michael T. Flynn, was interviewed on the subject by Mehdi Hassan on Al Jazeera’s Head to Head program: see Mehdi Hassan, “Who is to blame for the rise of ISIS?” Al Jazeera (29 July 2015), http://www.aljazeera.com/programmes/headtohead/2015/07/blame-isil-150728080342288.html; and also “US ex-intelligence chief on ISIS rise: It was ‘a willful Washington decision’,” RT (11 August 2015), https://www.rt.com/usa/312050-dia-flynn-islamic-state/. See also See also Martin Chulov, “France funding Syrian rebels in new push to oust Assad,” The Guardian (7 December 2012), http://www.theguardian.com/world/2012/dec/07/france-funding-syrian-rebels. 7 See Patrick Cockburn, “Whose side isTurkey on?” London Review of Books (6 November 2014), http://www.lrb.co.uk/v36/n21/patrick-cockburn/whose-side-is-turkey-on; David Graeber, “Turkey could off Islamic State’s supply lines. So why doesn’t it?” The Guardian (18 November 2015), http://www.theguardian.com/commentisfree/2015/nov/18/turkey-cut-islamic-state-supply-lines-erdogan-isis; Nafeez Ahmed, “NATO is harbouring the Islamic State,” Insurge Intelligence (19 November 2015), https://medium.com/insurge-intelligence/europe-is-harbouring-the-islamic-state-s-backers-d24db3a24a40#; and “ISIS survives largely because Turkey allows it to: the evidence,” UndercoverInfo (20 November 2015), https://undercoverinfo.wordpress.com/2015/11/20/isis-survives-largely-because-turkey-allows-it-to-the-evidence/. 8 “ISIL Financed by 40 Countries, Including G20 Member States – Putin,” Sputnik News (16 November 2015), http://www.sputniknews.com/politics/20151116/1030199114/isil-financing-g20-putin.html.